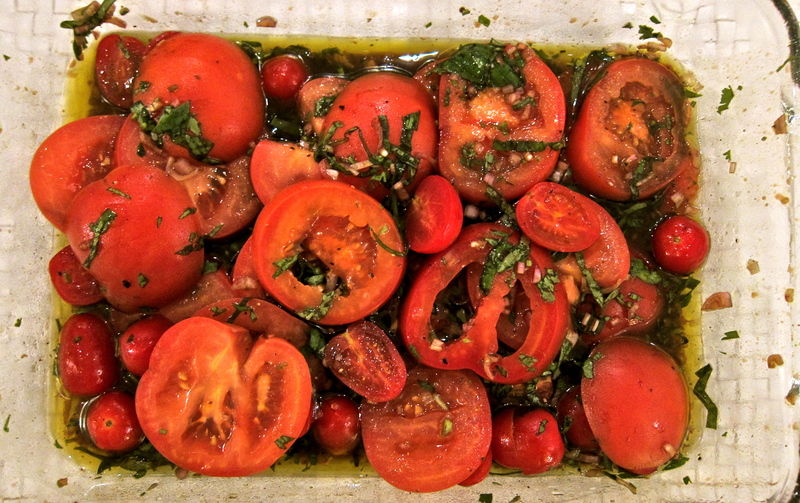 ← Marinated Tomatoes – great for your skin! We were in Sai Kung last weekend and stopped by TC Deli for the first time on a mission to test some of their produce and see if it makes the cut. We were told about this butcher by some friends who throw some of the best dinner parties in town, so we are inclined to believe that they know what they are talking about! It’s a bit of a mission to go all the way there for a piece of meat and unfortunately TC Deli don’t deliver, but if you are in the area, I suggest you stop by for some great tasting/well-priced boneless lamb leg! I wanted to make dinner for my family on a weekday, and didn’t have time to do a traditional roast. Butterflying the lamb leg is a perfect way to either BBQ or roast a generous piece of lamb in a shorter amount of time. It also creates a long piece of meat with varying thicknesses, so you can serve everyone their preferred done-ness, from the more well-done end pieces to the very pink in the center. Make life easier for yourself (I did!) and buy a boneless lamb leg so you don’t have to bother cutting out the bone yourself. 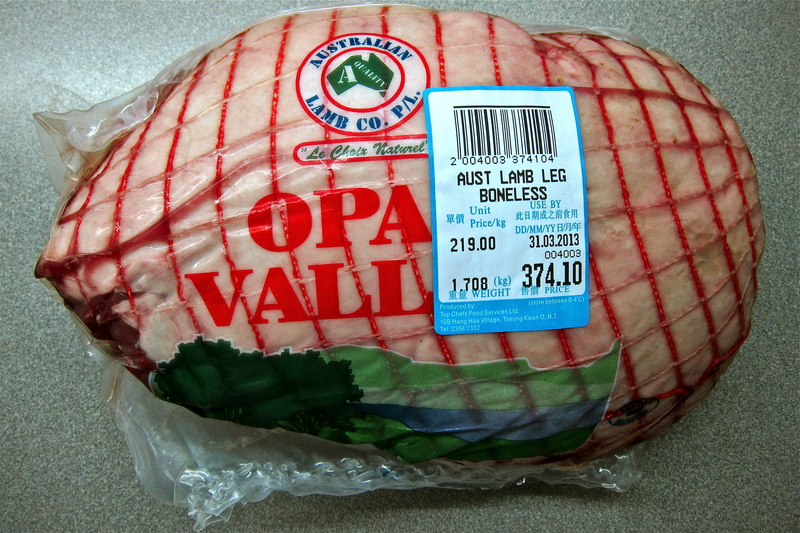 Simply cut off the netting, roll the lamb leg out, and slice the large meaty section perfectly in half (see the picture below). 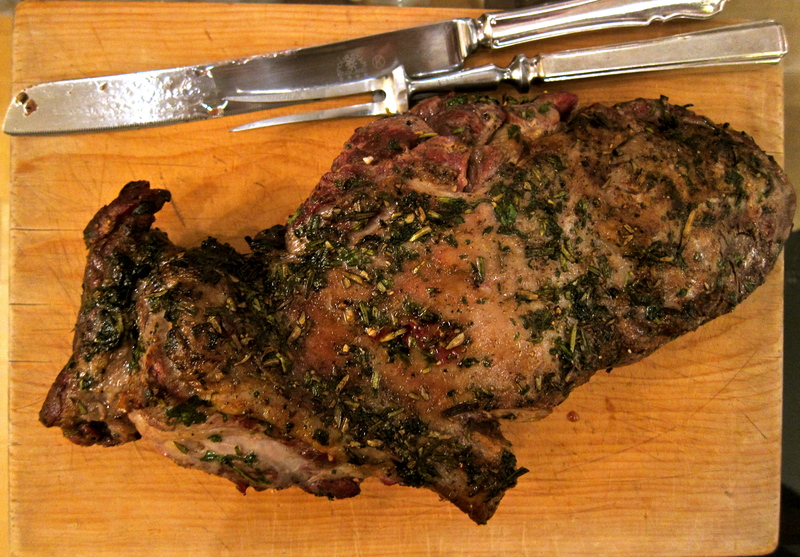 If you are prepared and are able to marinate the lamb the night before, then good on you! I marinated mine 3 hours before cooking it and it still tasted fab, but you can never go wrong with more marinating. This is a combination of 2-3 recipes that I found online and took the best of each! I BBQed this wonderful piece of lamb, because I love that char-grilled goodness and smokey taste. I’ll also try it in the oven one day and let you know how it goes. ♥ Marinate the lamb. 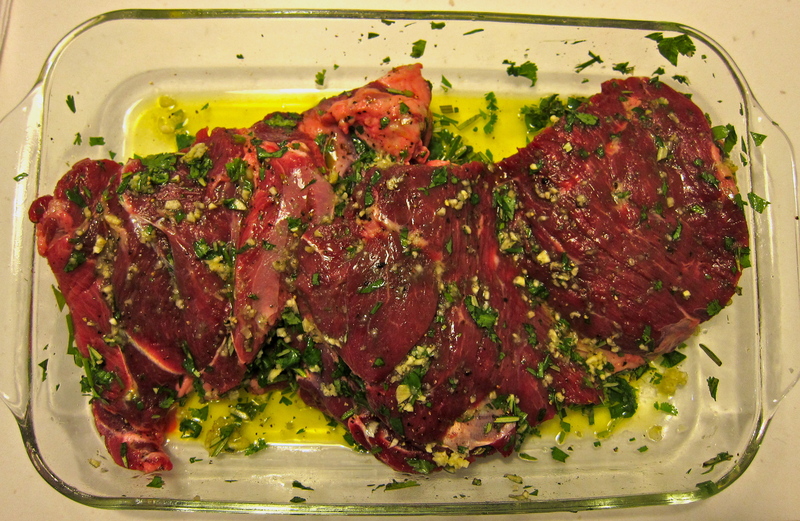 Place it in a flat glass dish and add all of the marinade ingredients, except for the salt. Adding the salt now will draw out the moisture and toughen up the lamb. Make sure that it’s all rubbed in nicely on the meat side and fat side, cover and leave to marinate for at least 3 hours, or overnight. 1.70kg of lamb, marinating nicely! ♥ Heat up your BBQ to 220°C. Season both sides of the lamb liberally with salt flakes. 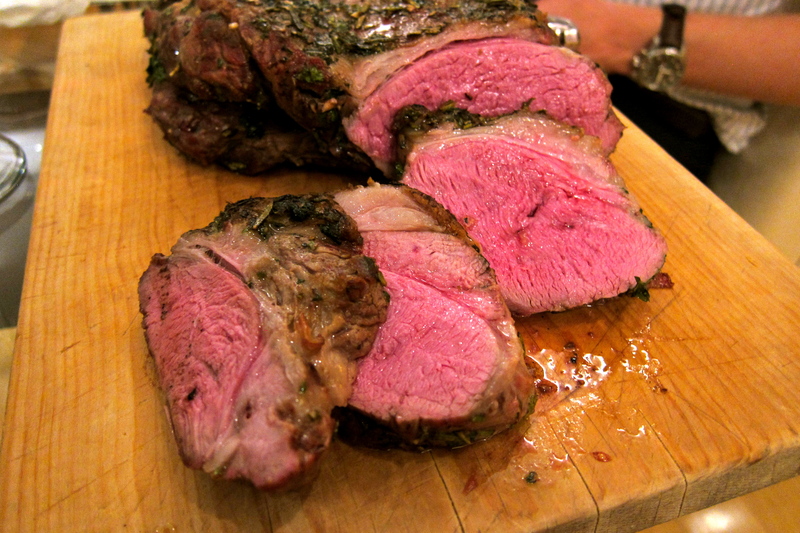 ♥ If you choose to baste your lamb, then do so at this point. Melt 100g of butter and mix in the juice of half a lemon.When the BBQ is heated up, brush the fat side of the lamb with butter/lemon mixture and place it fat side down on the BBQ, close the lid and sear for 5 minutes. ♥ Open up the lid, brush the butter/lemon mixture on the meat side of the lamb and flip it over so that it’s now fat side up, close the lid to sear the other side for 5 minutes. ♥ Now all that’s left is to cook it through. Turn the heat down to 170°C, baste the lamb with the rest of the mixture. Turn off the fire on one side of the gas BBQ, or brush the charcoal to one side of the BBQ bin to create an area of indirect heat. Place the lamb on this area of the BBQ, this will stop the lamb from burning. Close the lid. 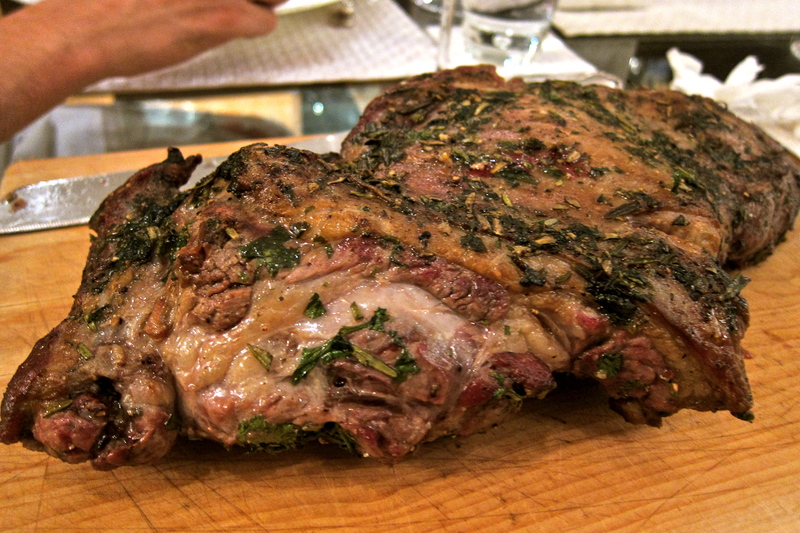 ♥ Cook the lamb for a further 20 mins for medium-rare, and extra 10 mins for medium. ♥ Remove from the BBQ, cover with aluminium foil and let it rest for 15 minutes. ♥ Carve it up thickly and serve! After resting for 20 minutes, it’s time to tuck in! I’m sure that brushing it in butter makes the lamb taste even more amazing (butter is always better! ), but for the sake of my arteries (and wedding photos!!) I skipped out of the basting this time. By all means, don’t let me stop you – I have butter envy right now. I served the lamb with a wonderfully summery dish of Marinated Tomatoes (check out the recipe here), and a butter lettuce and avocado salad with a Honey Dijon Dressing. hi! just wanted to say I’m a new reader but i’m loving your blog already! Fiona, you just made my day 🙂 thanks for your lovely comment. I’m in India for Easter Holiday – watch this space!